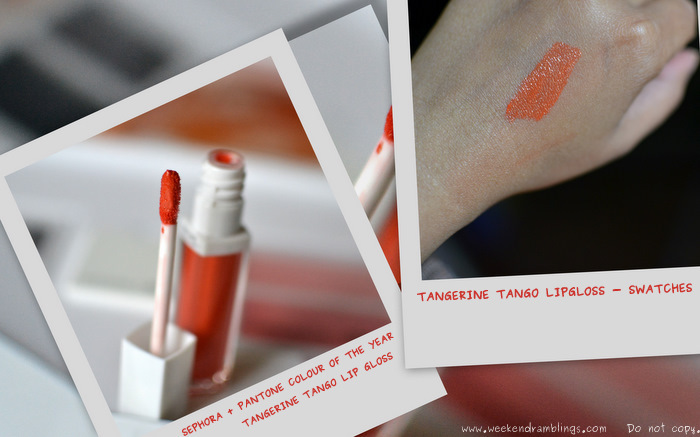 A six-piece set of exhilarating products for eyes, lips, and face, all inspired by the exuberant Color of the Year - Tangerine Tango. 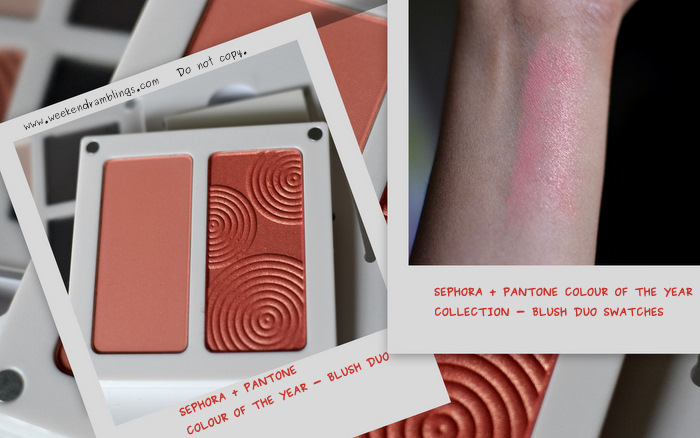 Each product is housed in an ultra-sleek architectural design as a nod to the iconic Pantone chip, making this collection both a stylish and exotic addition to your makeup bag. 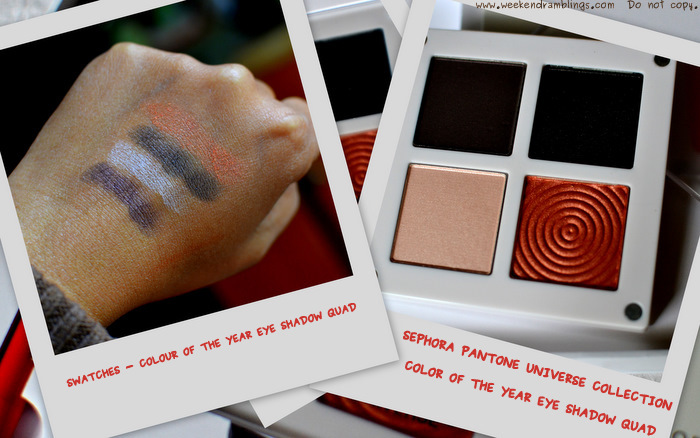 Sephora sure knows a thing or two about building up the anticipation - their website has been showing the Sephora + Pantone Collection for about a month now, but it was available for sale only recently. I did a lot of fill-the-basket before finally settling on the collector's edition which had most of the products released with this collection (no nail colours or false lashes) at a price that was definitely lower than buying each product separately. The UPS guy delivered the set in a HUGE box today, and I just couldn't wait to start clicking photos. The packaging of this is a classy white with a Pantone chip pattern on one side. It's a heavy, sturdy box with the six included products nestled carefully inside. That tangerine shade is gorgeous and I cannot wait to see you rock that lipstick. Am quite hesitant to try out that lipstick - I get visions of paan-stained mouths :D :D :D :D But it does look awesome, doesn't it? 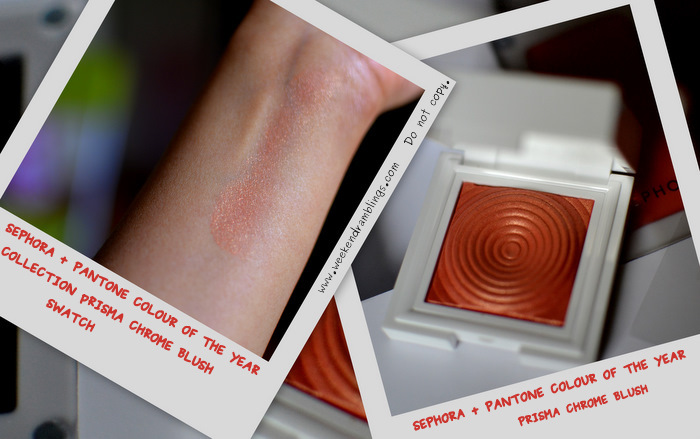 Sephora seems to have put in a whole lot of thought into the design..I love the swirls! 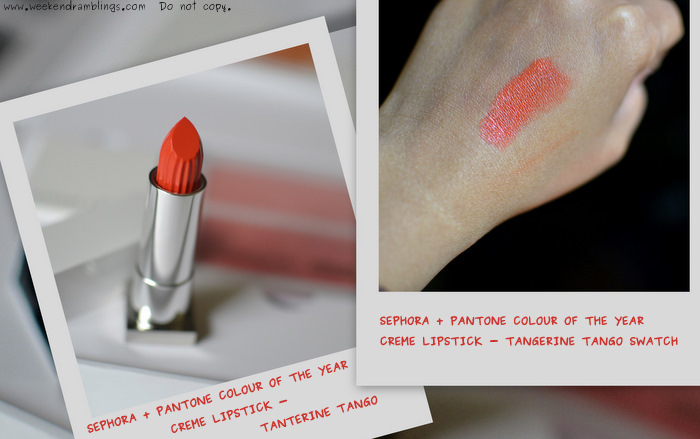 I like the lipstick and blush duo too!and the tango twist eye liner ...I think it will be interesting! This set is gorgeous, but I think I'm most curious about the eye liner! How do you use it? 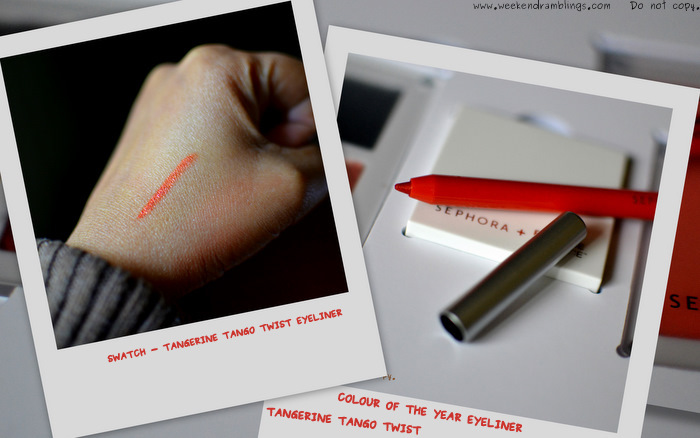 Just as a regular eyeliner or do you pair it with something else?